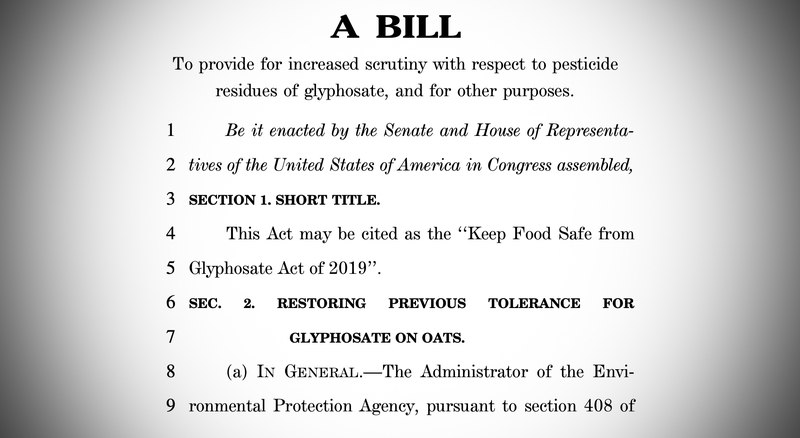 A bill introduced this month to the U.S. House of Representatives would impose a strict limit on the amount of glyphosate, an herbicide linked to cancer but important to increasing crop yield sizes, allowed in food. The bill would also ban the chemical’s use as a pre-harvest drying agent, used by farmers in Indiana and around the world to dry out a crop to allow it to be harvested sooner. The proposed legislation also calls for the U.S. Department of Agriculture to annually test fruits, vegetables and other foods for glyphosate. The "Keep Food Safe from Glyphosate Act of 2019" bill was introduced to the U.S. House of Representatives by Rep. Rosa DeLauro. Glyphosate is the main ingredient in one of the world’s most popular herbicides, Roundup. The chemical has been linked to several types of cancers and tumors in people who directly used the product. A recent study found that exposure to glyphosate-based herbicides can increase the risk of contracting non-Hodgkin lymphoma by 41 percent in humans. The chemical has also been linked to shortened pregnancies and underdeveloped babies. Last year, a study by the Environmental Working Group, a non-profit environmental health organization, found glyphosate was present in most oat-based food marketed to children. Some products made with organically grown oats were also found to contain glyphosate. The U.S. Food and Drug Administration told the Indiana Environmental Reporter last year that the FDA would expand testing for glyphosate and the herbicides 2,4-Dichlorophenoxyacetic acid and dicamba. The FDA told IER there were no violations of government-set maximum levels for glyphosate. Herbicides containing glyphosate are sold across the globe and have been linked to several adverse health conditions, including cancer. 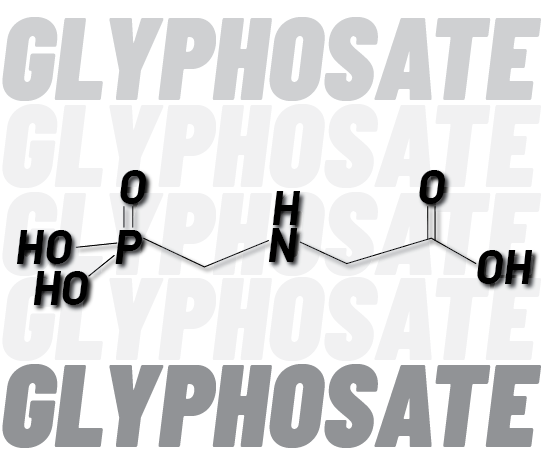 The FDA’s 2016 Pesticide Residue Monitoring report proved there were no violations of the set tolerances, but also revealed how prevalent glyphosate really was. The 2016 report was the first to include glyphosate. Researchers found that glyphosate was the fourth-most present pesticide chemical found in the 6,946 human foods monitored for the study. In a focused sampling of soybeans, corn, milk and eggs, the chemical was detected in 63.1 percent of tested corn and 67 percent of tested soybeans. Glyphosate was not found in milk or eggs sampled. The FDA has not released reports for fiscal years 2017 or 2018. Herbicides containing glyphosate are important to farmers because they kill weeds that decrease crop yields, especially for Indiana’s two historically largest crops, corn and soybeans. Glyphosate-based herbicides are also applied to cereal crops just before harvest. The herbicide dries out the crop so it can be harvested sooner. Roundup’s manufacturer, Monsanto Co., marketed its product as a “breakthrough for farming.” By some estimates, the company controlled about 60 percent of all glyphosate-based herbicide sales, eventually making Roundup available for use in non-agricultural areas. 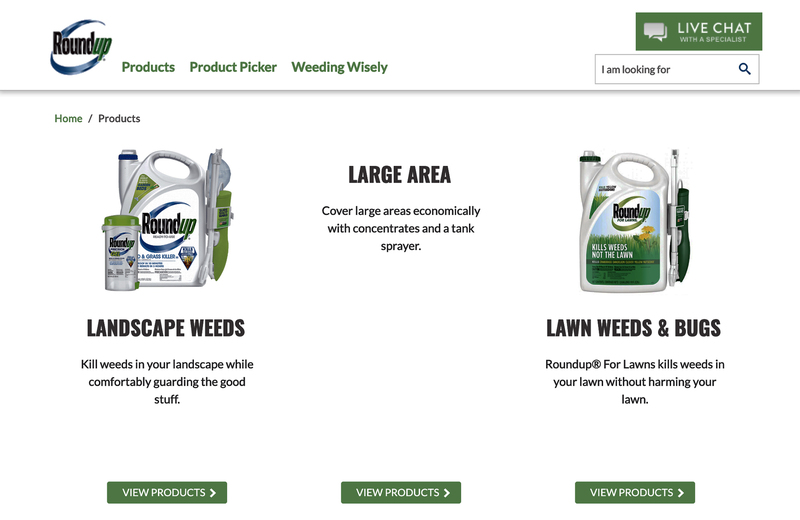 Bayer AG's Roundup is one of the top-selling glyphosate-based herbicides in the world. That would eventually lead to thousands of lawsuits concerning Roundup’s carcinogenicity and how much the company knew about glyphosate’s possible adverse effects. Last year, a jury ordered Monsanto to pay a school groundskeeper In California $289 million in damages after a jury decided that Roundup was responsible for his terminal non-Hodgkin lymphoma. Monsanto appealed and the damages were reduced to $78 billion. Last week, a federal jury in California found that Roundup was a “substantial factor” in Edwin Hardeman’s contracting non-Hodgkin’s lymphoma after using the product for 26 years. German pharmaceutical company Bayer AG bought Monsanto Co. and is now financially responsible for costs incurred by the lawsuits. More than 11,000 people across the country have filed suit against Monsanto Co./Bayer AG.